Tucked between Hilton Head Island and Savannah, and accessible only by boat, Daufuskie Island is a real gem. Discover the beautifully rustic and undeveloped side of the island brimming with Lowcountry lore. Native American artifacts and colonial relics are on display, and three centuries of Gullah culture, with its West African origins, imbues Daufuskie with a mystical quality. This trip provides a glimpse into a fascinating chapter of Lowcountry history on the undeveloped side of the island. Visit several one-of-a-kind places, including the First African Baptist Church, the Praise House, Mary Fields School (memorialized in Pat Conroy’s ‘The Water is Wide’) and the site of the Bloody Point Lighthouse. Tour studios and meet local artisans at Silver Dew Pottery and The Iron Fish, home to Martha Stewart American Made winner Chase Allen. Learn the rich history of the Native Americans, European settlers, the cotton trade, the Gullah people and the locals who have chosen to make this remote island their home. 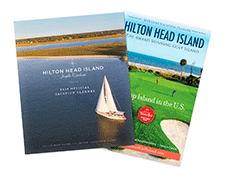 Tour includes boat cruise from Hilton Head Island, USCG licensed Captain and interpretive naturalist/historian guide, golf cart, light snack, and refreshment.